To view this email in your browser click here! It’s beginning to look like Christmas, and soon the bells will start, and the thing that makes them ring, is the square dance you will sing, right from your own heart. 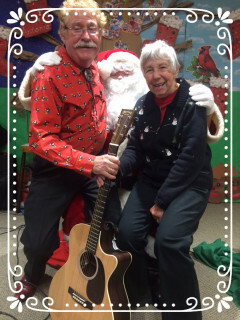 Merry Christmas to all the square dance callers and round dance leaders wherever you may be. Maybe you are in Sweden, Japan, Canada, New Zealand, Germany, Liechtenstein, the USA or any other country, we thank you so much for your business. By now you are well into your classes and I hope you have a great one. I am writing this letter from my office in Brooklyn NY. I call for the one and only square dance club in Brooklyn (The Ale-Mo-Dancers ) . Brooklyn is one of the five Burroughs of New York City. New York City has a population of over eight and a half million. Of all these millions of people to draw from, Ale-Mo-Dancers only got 5 students this season. When I moved to NY from Kentucky in 1990 there were 2 clubs in Brooklyn, 4 on Staten Island and one in Manhattan. Now there are no clubs on Staten Island, one in Manhattan (time Squares ), and Ale-Mo’s in Brooklyn. It’s not that New Yorkers don’t join square dance clubs because they think it’s to country, it’s because there are too many other thing to do. In a normal household both Mom and Dad work just to make ends meet. They don’t have time to commit to long term classes as we usually ask them to do. But keep your chins up fellow callers and don’t give up on our great activity. People might not be flocking to organized clubs. However, they are square dancing at church parties, father and daughter events, birthday parties Lions clubs etc. 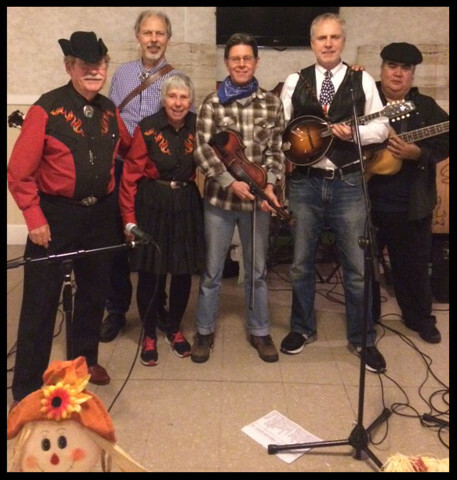 We as callers should try to keep our clubs happy with a variety of good square dance music and fun choreography. Just remember, when you are doing a Barn Dance to keep things simple. After all you have been hired to entertain. The callers association that I am a member of (Callers Council Of New Jersey) just finished holding a 5 week course for want-to-be callers. Caller coach Betsy Gotta was in charge of the classes. Fourteen students attended the classes. Congratulations to all of you and welcome to the wonderful world of square dance calling. These new callers will not be doing things I had to do when I started calling almost 45 years ago, things such as toting record cases, and a turntable. Now they have a computer, digital music, and a small amplifier. They don’t even have to use checkers anymore to figure out how a call works. They have instant choreography right from a program that they can download onto their computer. I failed to mention that Gardner Patton the man that helps with this newsletter is the one that taught the session that focused on digital music, digital choreography, etc. Who wrote the following calls (see answer below)? Original Half Yak, Hilton 500, Hilton Small horn speaker, 2 Hilton Large Speakers, 25 ESP records, 25 Mac Gregor records. Note: you may purchase any Coyote and TNT music and have it instantly downloaded at www.coyote-tnt.com on the TNT or Coyote music pages. What do these two callers have in common beside the obvious things? Recording a square dance tune was one of their things to do on their bucket list. There are lots more on the web sight. Also look for our ad on the back cover of American Square Dance magazine. That’s it for now. Hope you have a very Merry Christmas and a Happy New Year..
A special thank you goes out to Lawrence Johnstone and Gardner Patton. Until next time, just remember, If The Coyote Don’t Get You, The TNT will. Copyright © 2017 Coyote Records / TNT Records, All rights reserved.